Join us at Surfbreak Cabarete at Playa Encuentro, Dominican Republic, for some great weather, stunning sunsets, and a variety of yoga and fitness sessions aimed at stretching and strengthening more than just the body. With beach days and river tours designed to immerse you in the beauty and culture of the Northern Coast, complimented by poolside hammock sessions and quality cuisine, we present to you this year’s CaribbeanParadiseRetreat. 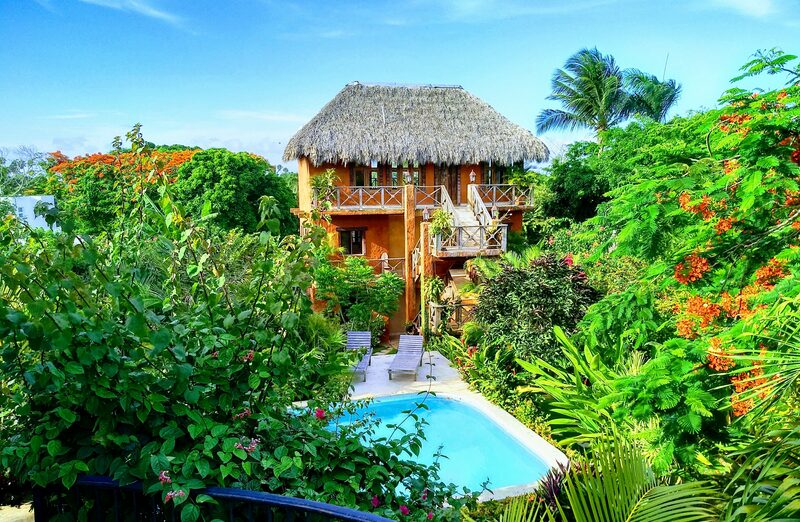 Accommodations are a five-minute walk from Playa Encuentro, and a ten-minute ride to Cabarete. 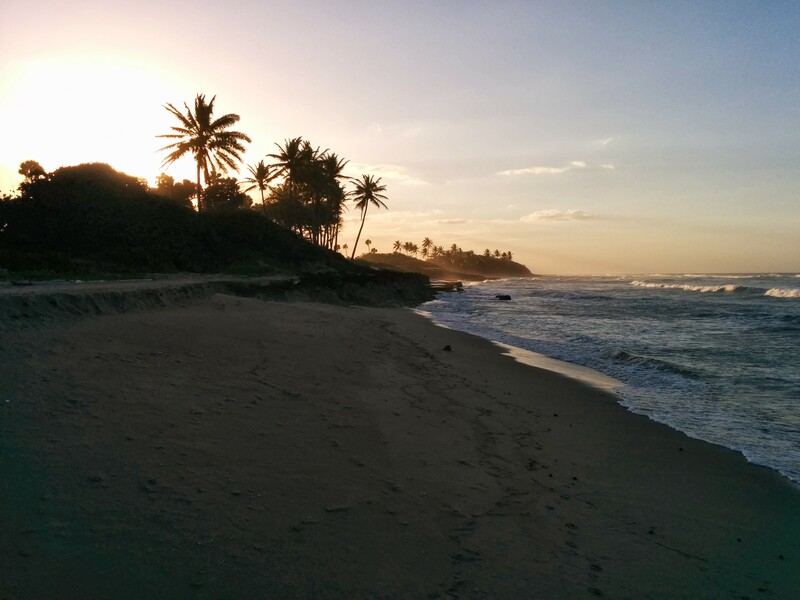 Flights booked to Puerto Plata (POP) are best. Santiago (STI) is an alternative, however, one that adds a considerable amount of travel time. Days begin with a mellow and slow moving yoga session offered every morning in Surfbreak’s fresh-air yoga studio. Morning sessions will incorporate beginner to intermediate asanas, with opportunities to engage in more active workshops and freestyle sessions in the afternoon. Feel free to make use of the studio space outside of class and meditation sessions as well. Head into town for a night of pool, dancing and karaoke, or sit back and relax at Surfbreak Cabarete’s charming resort. Catch a beach side fitness session at sunset one day, and explore the nearby mountains and rivers the next. Take part in every class and excursion, or none, and any combination in between. No previous knowledge or experience in yoga necessary. Meals will be plant-based, featuring local organic produce. 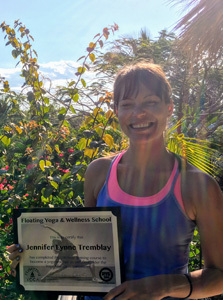 Jennifer earned her 200hr yoga teacher training certificate here at Surfbreak Cabarete, and is currently earning a Master’s Degree in Integrative Healing Methods. 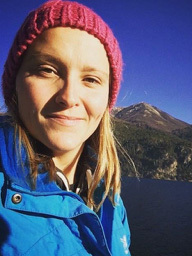 Jennifer’s classes vary from vinyasa-flow to restorative styles, encouraging slow and deliberate movement, with an abundance of opportunities to modify and adapt poses to your own needs and comfort. Certified personal trainer, Joanne, is bringing her energetic outdoor fitness sessions from Southern California to the North Coast D.R. to offer a fun addition or alternative to early morning yoga.